Seems my best inspiration can sometimes hit in the middle of the night, as I lay wide awake in bed. Last night was no exception. 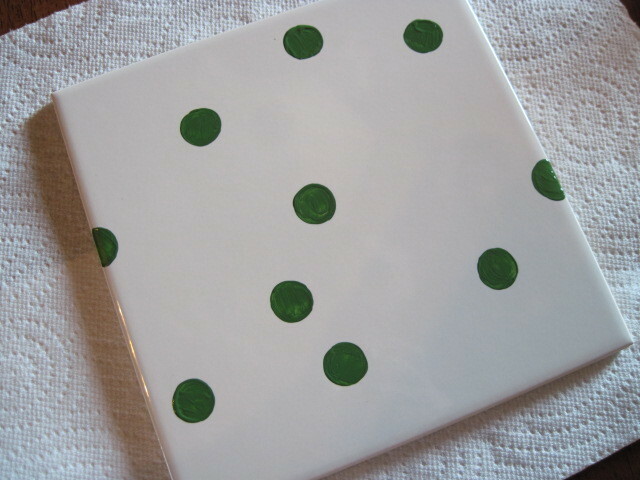 I’ll show you these trivet pictures in sequence and see if you can guess what design it will turn ultimately out to be. Have fun and good luck with the guesses! 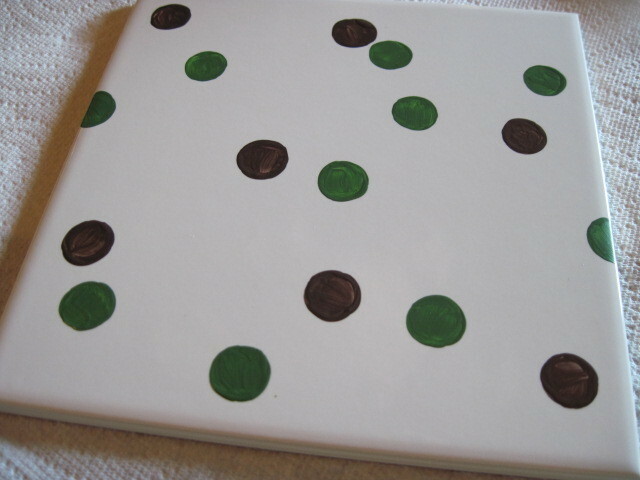 Did you know that I’d love to lay awake at night designing just the right look for your tile? If you’re ever interested in having me quote you a price on a particular design, please don’t hesitate to contact me. All you need do is send me a photo at my email address: info@kudoskitchenbyrenee.com and I’ll be happy to get back with you ASAP. 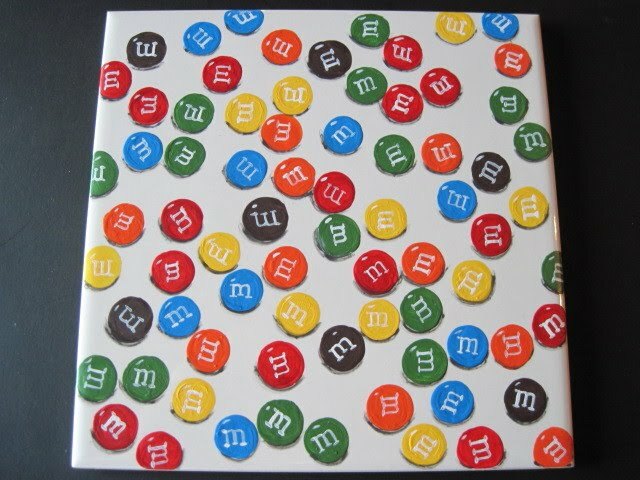 Tile sizes are as follows: 3×6, 4×4, 6×6 and 6×8 These ceramic tiles can be made into magnets, trivets, wall hangings and shelf art. 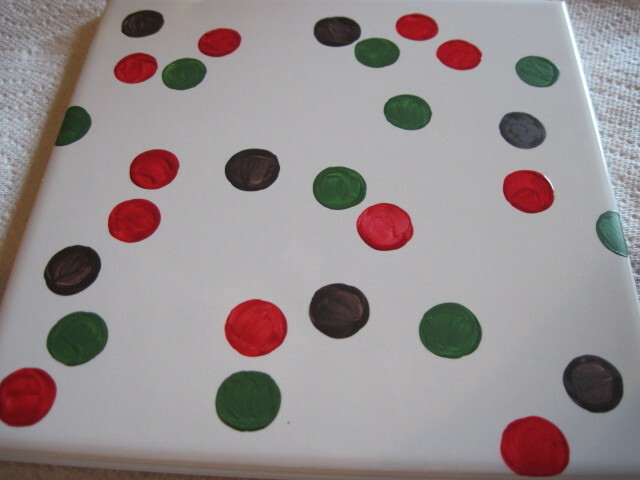 They make exceptional personalized gifts for absolutely anyone AND they make great conversation pieces! I am in awe. Really. Just awesome!!! 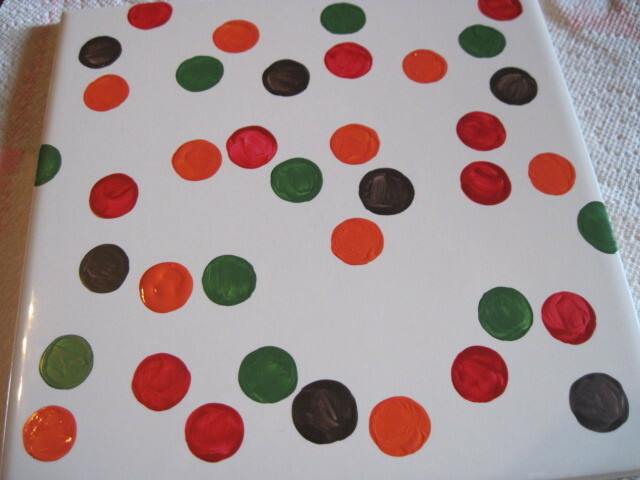 Those are really cool…I did think it was for Twister, though! So, so cute! 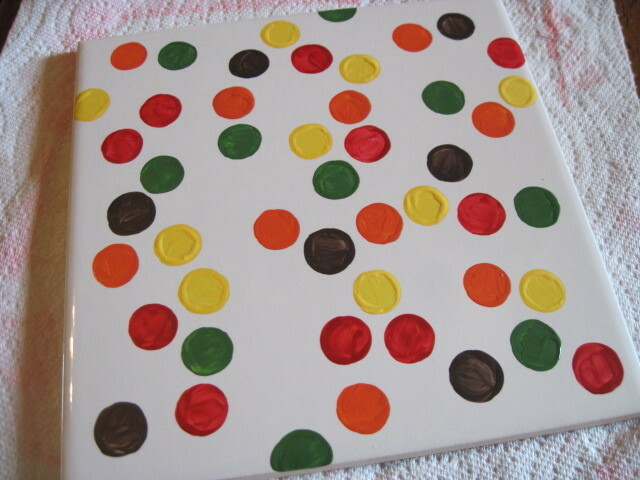 I love the dots and then to make them m&m's….so adorable! 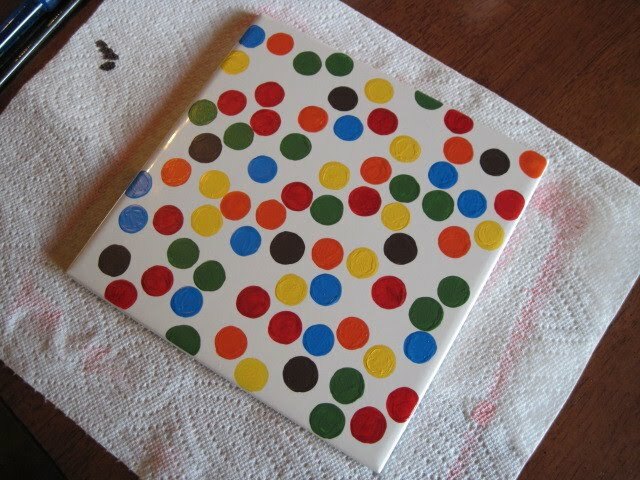 Oh my gosh I love this tile so much I'd probably prop it next to me on my pillows at night. 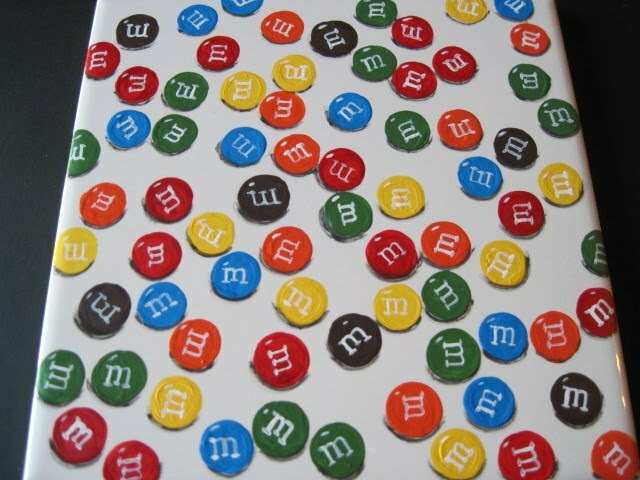 I love m&ms like you wouldn't BELIEVE.